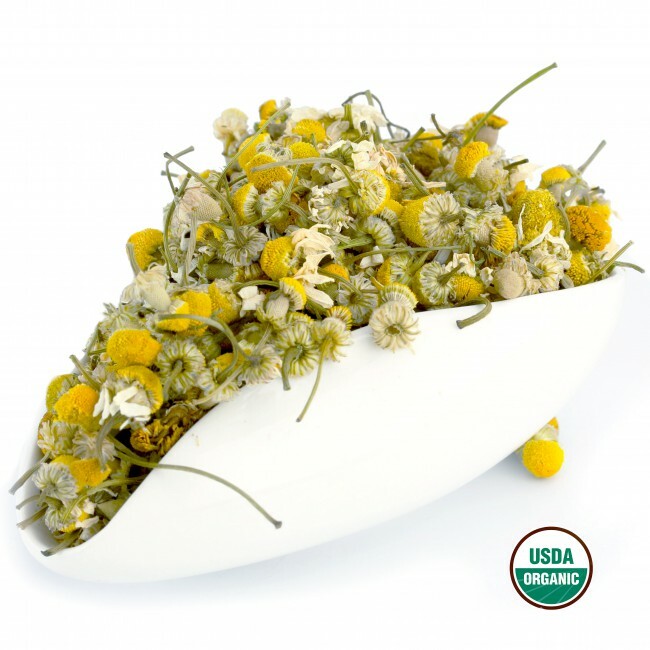 • CERTIFIED organic by OEFFA, our loose leaf Chamomile tea from Egypt bears the USDA Organic Seal to guarantee that you are getting the highest quality flowers and herbs free from pesticides and herbicides that are 100% Organic. • We personally traveled to Egypt to meet the farmers, processors and exporters. It was a profound experience and what we learned helps us maintain COSNSISTENT QUALITY across the pallet of Egyptian sourced herbal teas. Ensuring the quality is our goal and we proudly have many returning customers. We packed and processed these flowers in our DOA certified Cleveland Ohio facility (Also certified organic handling facility). • The benefits of Chamomile tea are many. Listed below in the description is just the summary. Scientific studies still discover new chamomile tea benefits for a range of diseases and problems. Chamomile is one of the most popular tisanes (herbal teas) on the planet, mostly for its success in helping folks with insomnia. Matricaria chamomilla represents the so called German or Hungarian chamomile that is grown around the world but Egypt stands as the largest producer. It has a sweet aroma and slightly fruity taste with hints of apple. With so many applications, you can truly get your money’s worth with our 1 lb. bulk bags. U.S.A. 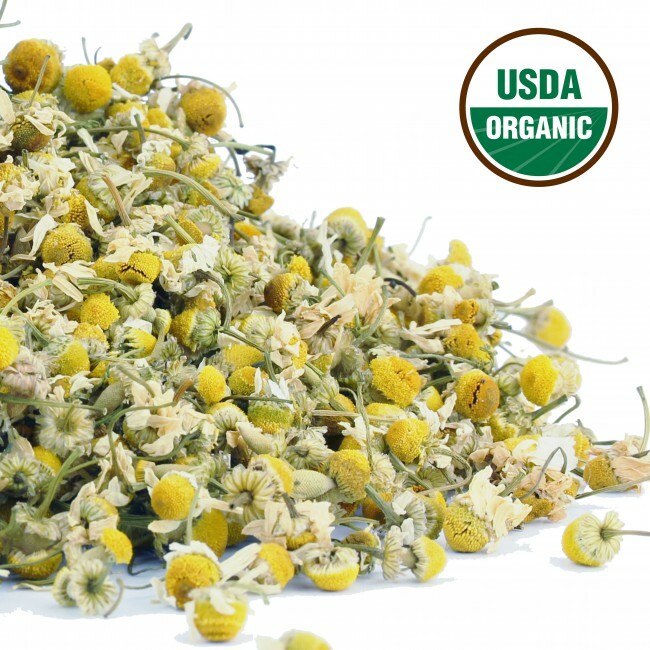 Origins: Wild chamomile was first introduced onto American soil by the colonists who brought it form Europe. HEALTH: Chamomile has been known as mildly relaxing tea (due to a polyphenol called apigenin). It helps one reach meditative state. Lot of it properties are stemming from anti-inflammatory compounds, flavonoids that reportedly have many miraculous beneficial properties that science is yet to explain. Over the centuries, a variety of cultures have treasured Chamomile for its anti-inflammatory and antimicrobial properties to treat minor cuts and wounds. COSMETICS: in cosmetics it is known to act smoothing and rejuvenating (probably again due to anti-inflammatory and anti-bacterial properties). It aids in bleaching hair naturally. Namely it Chamomile in combination with glycerol is known to avoid dryness and brittleness, as well as deterioration of appearance, all well knows side effect of bleaching hair with hydrogen peroxide. BTW, chamomile essential oil is used for dandruff reduction and has been known to reduce dark circles under the eyes, lighten skin, and even help clear up acne. FOODIES ALERT!!! In recent years culinary experts re-discovered chamomile. It is normal nowadays to make liquid nitrogen chamomile ice-cream and microbreweries are offering chamomile beer as standard. Small kombucha breweries also offer chamomile flavored kombucha but just bare in mind that they only add it in the second brew since chamomile is anti-bacterial is going to kill your SCOBY. 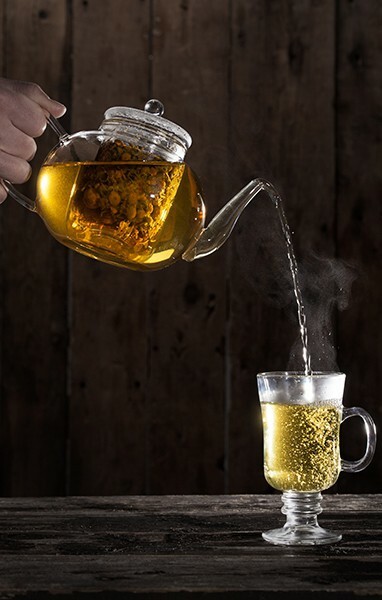 Mixologist are also having a chamomile blast; Honey chamomile syrup is used as a standardized (made by pouring one cup of simple syrup with 3 grams of young chamomile flowers, leave it “steeping” for a day, straining and wuala). 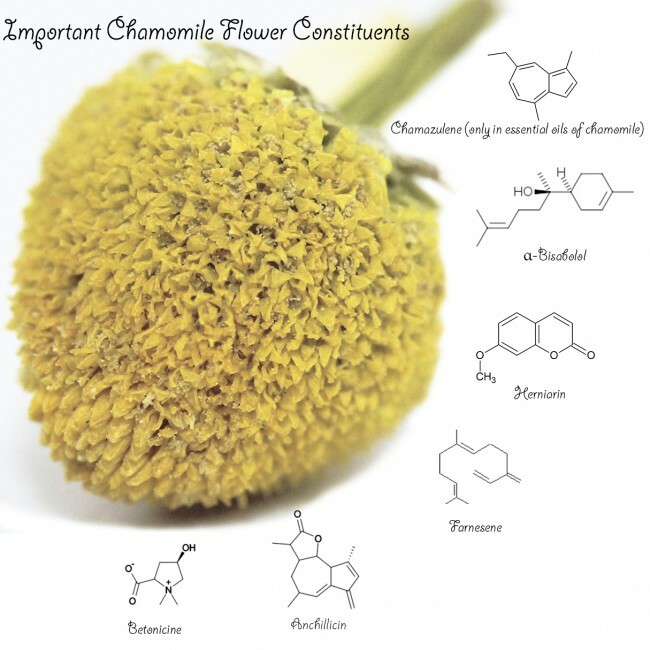 Not to dismiss it, chamomile flowers are also used as a tea J Yes, got that right! It is used in many herbal tea mixes as it’s mildly aromatic and not overpowering like peppermint for example. The chamomile notes are subtle. Generally speaking steep it with boiling water and add 3g chamomile per cup of boiling water. The steeping time varies but you get the idea. A Denver based company is making chamomile wine for dogs. It takes a while to process that, but yes, that is factually true. GROW IT: In the garden, chamomile is friendly with cucumbers and beautiful in the patch among the vines. It smells of summer even on the windy days. Strictly peaking German chamomile is a weed. It is an annual plant but it keeps reseeding itself into infinity. One can grow the plant in the backyard and enjoy the freshest chamomile tea imaginable. Fresh chamomile flowers with a bitter bite, can be sprinkled onto salads, snacks and entrées alike. Do try the Chamomile Panna Cotta. U.S. Wellness offers several different teas farmed in Bosnia and Egypt, but we are always looking to expand our offerings to satisfy our customer’s desires. If there is a particular kind of tea you need to have, please let us know. We are always looking for the next big thing to add to our collection. All of our loose leaf teas come in 1 lbs. bulk packaging because we want you to have complete control over every cup you make. Create your own perfect cup of tea. At U.S. Wellness, we just want to make sure you have the freedom to brew it your way every time. We package our herbal teas in a DOA certified facility in Ohio before shipping them to our customers. Orders usually take between 2 to 5 business days to arrive at your home. If you need the perfect cup faster, expedited shipping options are available. To make the perfect cup, boil water and then let sit for 30 sec to 1 min. Place the herbs in a teapot, strainer, or French press. You will need approx. 1 Tablespoon of herbs to 8 oz. of water. Pour water over the herbs and close the container. Allow the Chamomile to steep for around 5 minutes before serving. If you let it steep for longer, the taste will get bitterer.